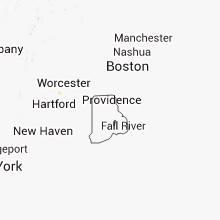 The Chicopee, MA area has had 3 reports of on-the-ground hail by trained spotters, and has been under severe weather warnings 15 times during the past 12 months. Doppler radar has detected hail at or near Chicopee, MA on 12 occasions, including 1 occasion during the past year. 4/15/2019 5:24 AM EDT At 523 am edt, severe thunderstorms were located along a line extending from near otis to granville, moving east at 50 mph (radar indicated). Hazards include 60 mph wind gusts. Expect damage to trees and power lines. Locations impacted include, springfield, chicopee, westfield, holyoke, amherst, northampton, agawam, west springfield, greenfield, orange, deerfield, ludlow, south hadley, easthampton, longmeadow, belchertown, southwick, montague, granby and southampton. 9/6/2018 3:36 PM EDT At 336 pm edt, severe thunderstorms were located along a line extending from easthampton to near southwick to hartland, moving east at 25 mph (radar indicated). Hazards include 60 mph wind gusts. Expect damage to trees and power lines. Locations impacted include, springfield, chicopee, westfield, holyoke, agawam, west springfield, ludlow, south hadley, easthampton, suffield, granby, southwick, southampton, east granby, russell and montgomery. 9/6/2018 3:22 PM EDT At 321 pm edt, severe thunderstorms were located along a line extending from near westhampton to near granville and hartland, moving east at 25 mph (radar indicated). Hazards include 60 mph wind gusts. Expect damage to trees and power lines. Locations impacted include, springfield, chicopee, westfield, holyoke, agawam, west springfield, simsbury, ludlow, south hadley, easthampton, suffield, granby, canton, southwick, southampton, east granby, huntington, hartland, russell and westhampton. 6/18/2018 5:49 PM EDT At 549 pm edt, a severe thunderstorm capable of producing a tornado was located over granby, or near chicopee, moving east at 30 mph (radar indicated rotation). Hazards include tornado. Flying debris will be dangerous to those caught without shelter. mobile homes will be damaged or destroyed. damage to roofs#commaorellipsis()windows#commaorellipsis()and vehicles will occur. tree damage is likely. 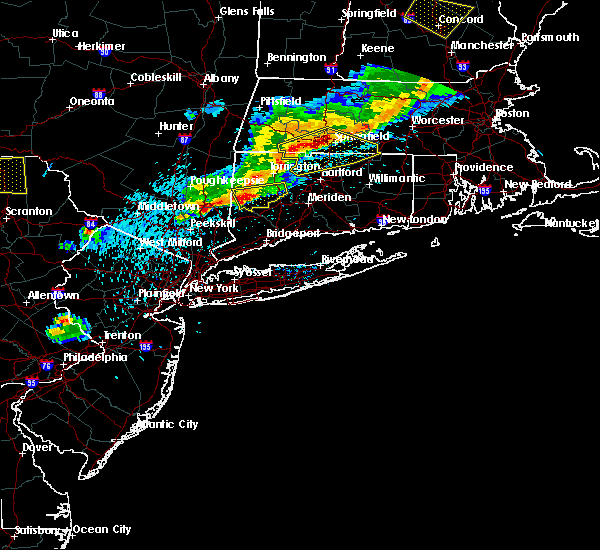 this dangerous storm will be near, ludlow around 600 pm edt. wilbraham around 605 pm edt. 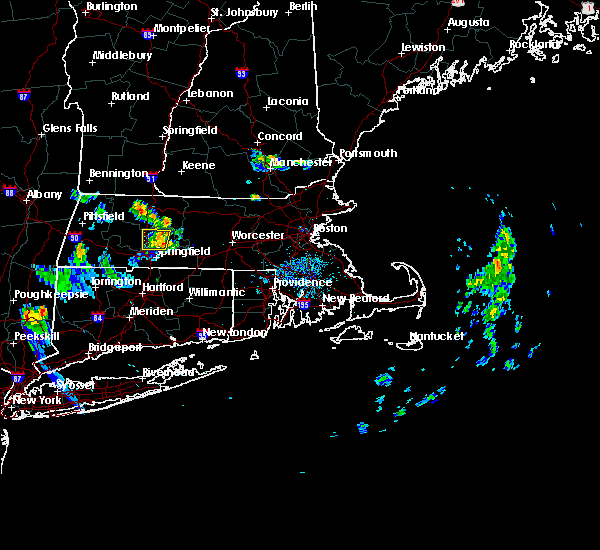 monson around 610 pm edt. 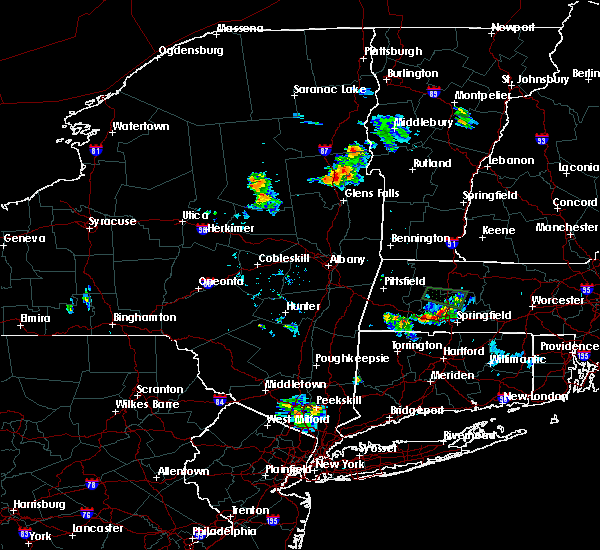 Palmer, warren, west brookfield and brimfield around 615 pm edt. 6/18/2018 5:44 PM EDT At 543 pm edt, a severe thunderstorm was located over granby, or near chicopee, moving east at 35 mph (radar indicated). Hazards include 60 mph wind gusts and quarter size hail. Hail damage to vehicles is possible. Expect damage to trees and power lines. 5/15/2018 3:46 PM EDT At 345 pm edt, a severe thunderstorm was located near hartland, or 14 miles northeast of torrington, moving east at 40 mph (radar indicated). Hazards include up to ping pong ball size hail and 60 mph wind gusts. People and animals outdoors will be injured. expect hail damage to roofs, siding, windows, and vehicles. Expect damage to trees and power lines. 8/2/2017 3:10 PM EDT At 310 pm edt, a severe thunderstorm was located over granby, or 9 miles southwest of agawam, moving northeast at 25 mph (radar indicated). Hazards include 60 mph wind gusts and quarter size hail. Hail damage to vehicles is possible. Expect damage to trees and power lines. 7/12/2017 1:53 PM EDT The severe thunderstorm warning for northwestern tolland and southeastern hampden counties will expire at 200 pm edt, the storm which prompted the warning has weakened below severe limits, and no longer poses an immediate threat to life or property. therefore the warning will be allowed to expire. 7/12/2017 1:22 PM EDT The national weather service in taunton has issued a * severe thunderstorm warning for. northwestern tolland county in northern connecticut. southeastern hampden county in western massachusetts. 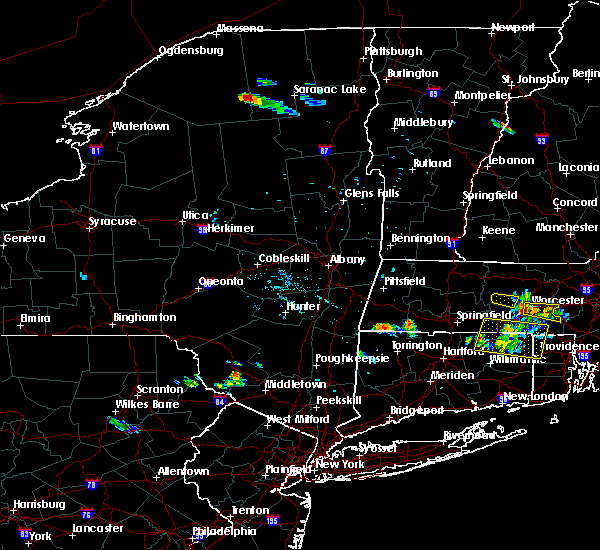 Until 200 pm edt * at 121 pm edt, a severe thunderstorm was located over agawam,. 7/12/2017 1:22 PM EDT At 121 pm edt, a severe thunderstorm was located over agawam, moving east at 30 mph (radar indicated). Hazards include 60 mph wind gusts and quarter size hail. Hail damage to vehicles is possible. Expect damage to trees and power lines. 6/30/2017 5:52 PM EDT At 549 pm edt, a severe thunderstorm was locateed near new hartford in eastern litchfield county, moving east at 35 mph. this storm may produce large hail and damaging winds from simsbury to canton and burlington connecticut. other strong storms extended along a line from westhampton massachusetts to new preston connecticut (radar indicated). Hazards include 60 mph wind gusts and quarter size hail. Hail damage to vehicles is possible. expect damage to trees and power lines. Locations impacted include, springfield, west hartford, bristol, chicopee, enfield, southington, westfield, holyoke, windsor, northampton, agawam, west springfield, farmington, wolcott, simsbury, ludlow, bloomfield, avon, plainville and south hadley. 6/27/2017 11:24 AM EDT The severe thunderstorm warning for southwestern worcester, southeastern hampshire and southeastern hampden counties will expire at 330 pm edt, the storm which prompted the warning has weakened below severe limits, and no longer poses an immediate threat to life or property. therefore the warning will be allowed to expire. however small hail is still possible with this thunderstorm. 6/27/2017 11:08 AM EDT At 307 pm edt, a severe thunderstorm was located over wilbraham, or near springfield, moving northeast at 30 mph (radar indicated. spotters have reported hail up to three quarters of an inch). Hazards include quarter size hail. Damage to vehicles is possible. Locations impacted include, springfield, chicopee, agawam, west springfield, ludlow, longmeadow, east longmeadow, belchertown, wilbraham, charlton, palmer, ware, sturbridge, monson, granby, hampden, warren, north brookfield, west brookfield and brimfield. 6/27/2017 10:49 AM EDT At 248 pm edt, a severe thunderstorm was located over agawam, moving northeast at 30 mph (radar indicated. spotters have reported up to three quarter inch hail). Hazards include 60 mph wind gusts and quarter size hail. Hail damage to vehicles is possible. Expect damage to trees and power lines. 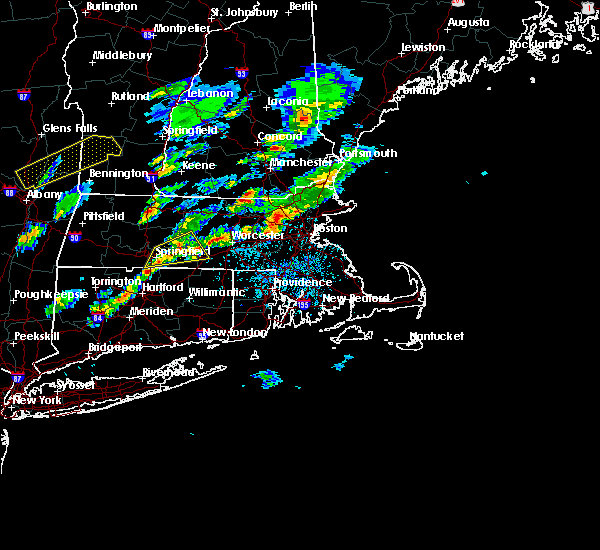 5/31/2017 7:43 PM EDT At 743 pm edt, severe thunderstorms were located along a line extending from barre to west brookfield to near palmer to near west springfield to near granby, moving southeast at 20 mph (trained weather spotters in and around the westfield massachusetts region have reported dime to quarter sized hail). Hazards include quarter size hail. Damage to vehicles is possible. Locations impacted include, springfield, chicopee, enfield, westfield, holyoke, windsor, agawam, west springfield, simsbury, ludlow, bloomfield, avon, south hadley, easthampton, longmeadow, suffield, east longmeadow, ellington, belchertown and wilbraham. 5/31/2017 7:14 PM EDT At 712 pm edt, severe thunderstorms were located along a line extending from near royalston to pelham to near granville, moving east at 25 mph (trained weather spotters have reported mainly dime to nickel sized hail with a few locations up to quarters. latest reports from south hadley to granby). Hazards include quarter size hail. wind gusts to 45 mph. Damage to vehicles is possible. Locations impacted include, springfield, chicopee, westfield, holyoke, amherst, northampton, west springfield, ludlow, south hadley, easthampton, belchertown, wilbraham, palmer, athol, ware, templeton, granby, southampton, barre and hadley. 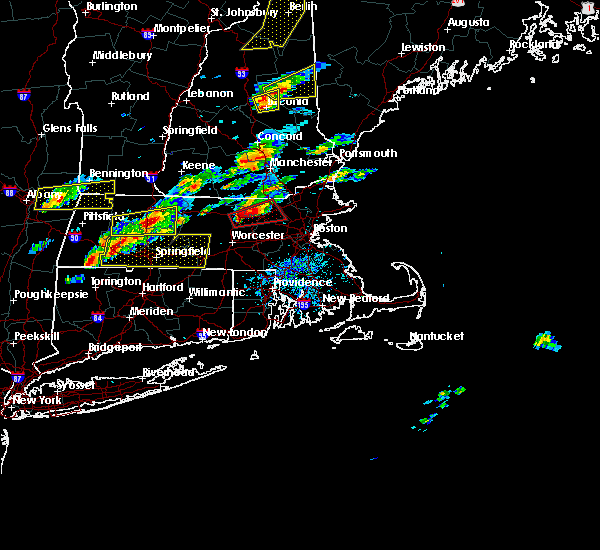 5/31/2017 7:02 PM EDT At 700 pm edt, severe thunderstorms were located along a line extending from warwick to near amherst to near tolland, moving east at 25 mph (trained weather spotters...many of whom have reported dime to quarter sized hail from sunderland down to southampton). Hazards include quarter size hail. gusty winds up to 50 mph. Damage to vehicles is possible. Locations impacted include, springfield, chicopee, westfield, holyoke, amherst, northampton, west springfield, deerfield, ludlow, south hadley, easthampton, belchertown, wilbraham, palmer, athol, ware, montague, templeton, granby and southampton. 5/31/2017 6:42 PM EDT At 640 pm edt, severe thunderstorms were located along a line extending from near bernardston to hatfield to near sandisfield, moving east at 25 mph (radar indicated. 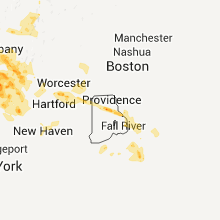 though trained spotters have supplied several reports of hail from dime to nickel sized along with trees and wires down across western massachusetts). Hazards include 60 mph wind gusts and quarter size hail. Hail damage to vehicles is possible. Expect damage to trees and power lines. 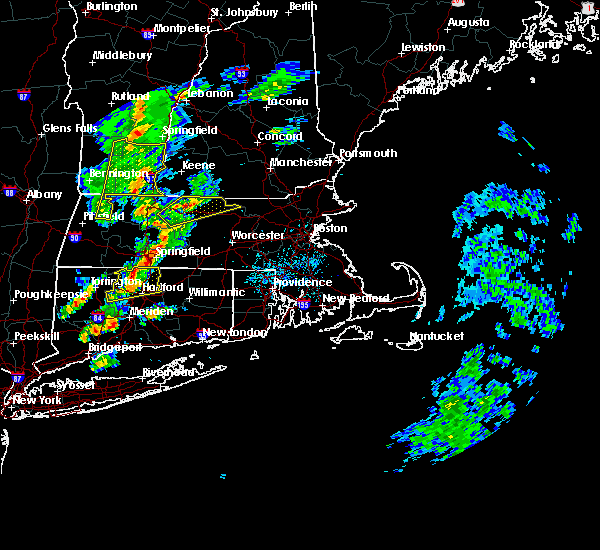 9/11/2016 8:49 AM EDT At 848 am edt, severe thunderstorms were located along a line extending from near danbury to near windsor to near richmond to leverett to new hartford, moving northeast at 45 mph (radar indicated). Hazards include 60 mph wind gusts. Expect damage to roofs. siding. And trees. 8/13/2016 9:43 PM EDT At 941 pm edt, a severe thunderstorm was located near ashfield, or 11 miles north of northampton, moving east at 65 mph (radar indicated). Hazards include 70 mph wind gusts. Expect considerable tree damage. damage is likely to mobile homes, roofs, and outbuildings. locations impacted include, conway, sunderland, deerfield,. montague,. leverett,. Wendell, new salem. 8/13/2016 9:29 PM EDT At 927 pm edt, severe thunderstorms were located along a line extending from near guilford center to plainfield to near blandford to 6 miles south of norfolk, moving east at 45 mph (radar indicated). Hazards include 60 mph wind gusts. Expect damage to roofs. siding. And trees. 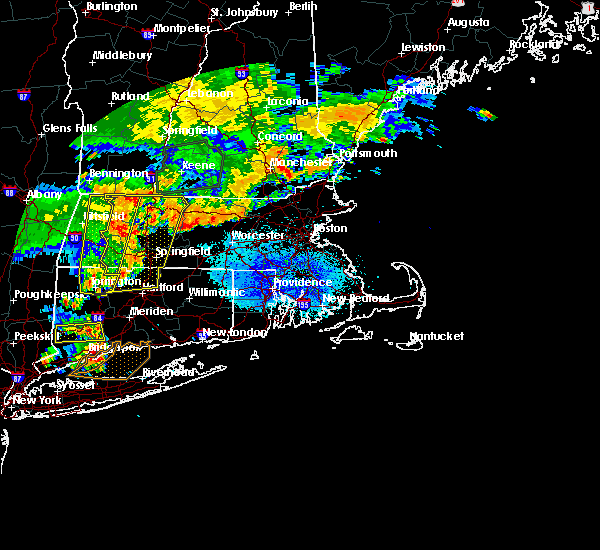 8/13/2016 9:09 PM EDT At 908 pm edt, severe thunderstorms were located along a line extending from near readsboro to near pittsfield to near sandisfield to sharon, moving east at 45 mph (radar indicated). Hazards include 60 mph wind gusts. Expect damage to roofs. siding. And trees. 8/13/2016 1:52 PM EDT At 152 pm edt, a pair of severe thunderstorms were located near agawam, moving east at 10 mph (radar indicated). Hazards include 60 mph wind gusts. Expect damage to roofs. siding. And trees. 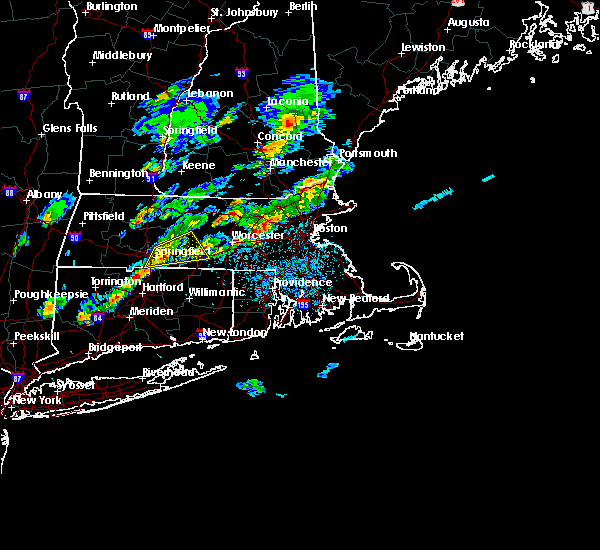 8/12/2016 3:12 PM EDT At 312 pm edt, severe thunderstorms were located along a line extending from near chicopee to near west springfield to near westfield, moving southeast at 25 mph (radar indicated). Hazards include 60 mph wind gusts. Expect damage to roofs. siding. and trees. Locations impacted include, springfield, chicopee, westfield, holyoke, agawam, west springfield, ludlow, longmeadow, east longmeadow, belchertown, wilbraham, palmer, southwick, monson, granby and hampden. 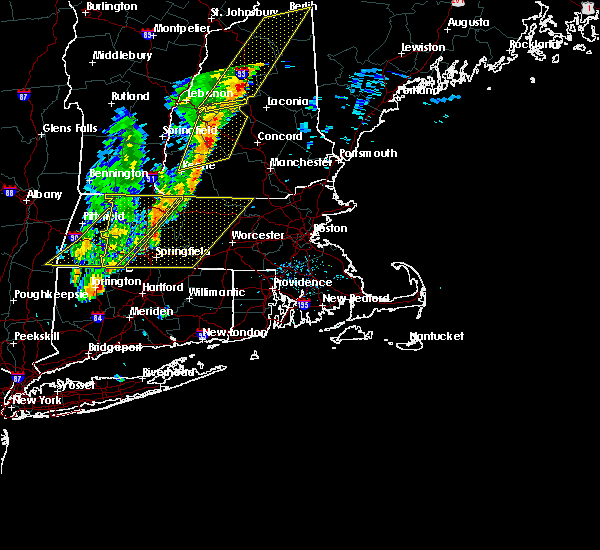 8/12/2016 2:57 PM EDT At 256 pm edt, severe thunderstorms were located along a line extending from easthampton to near southampton to near montgomery, moving southeast at 25 mph (radar indicated). Hazards include 60 mph wind gusts. Expect damage to roofs. siding. And trees. 7/23/2016 8:06 PM EDT The severe thunderstorm warning for hampshire, northern hampden, northwestern worcester and franklin counties will expire at 815 pm edt, the severe thunderstorm which prompted the warning has weakened. however, brief wind gusts to 45 mph from weakening showers may still result in a few downed trees and isolated power outages. 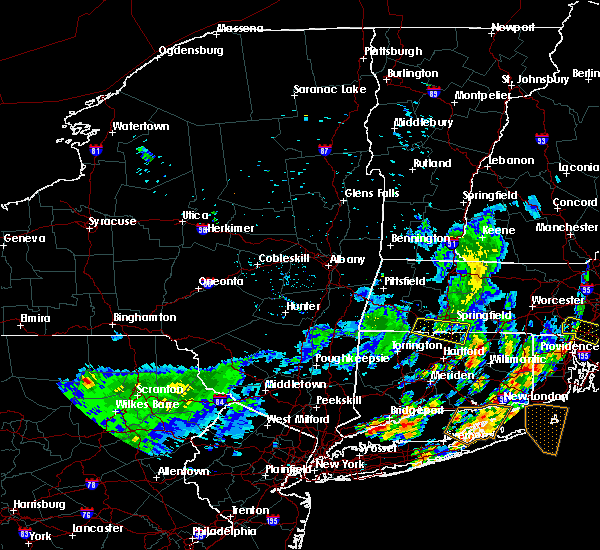 a severe thunderstorm watch remains in effect until 1000 pm edt for western and central massachusetts. 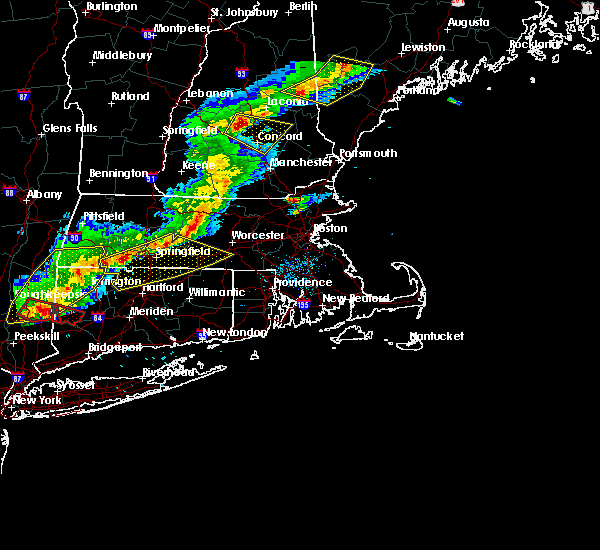 7/23/2016 7:15 PM EDT At 713 pm edt, a line of severe thunderstorms with a history of damaging wind gusts will drop south into much of western massachusetts. the strongest winds may occur well out ahead of the thunderstorms (radar indicated). Hazards include 60 mph wind gusts. Expect damage to roofs. siding. And trees. 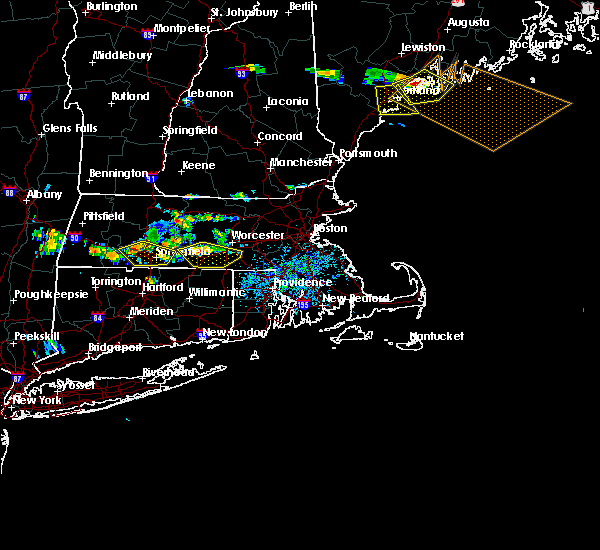 7/22/2016 8:22 PM EDT At 819 pm edt, strong thunderstorms were over the southwick massachusetts and granby connecticut areas. 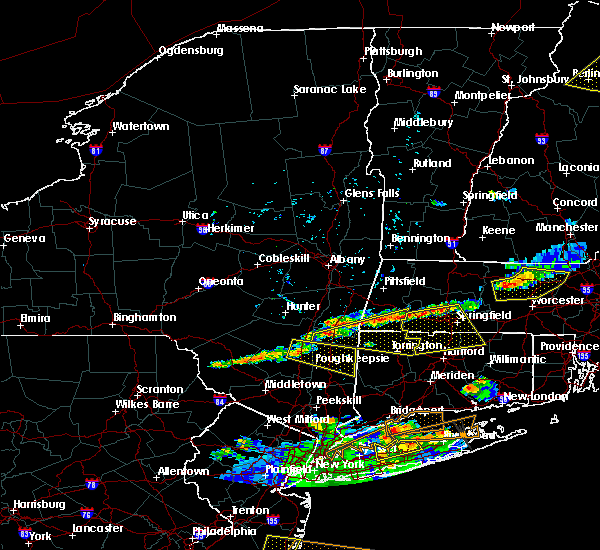 they had weakened to below severe criteria but still could produce localized damaging wind gusts. the storms were moving to the east at 35 mph (radar indicated). Hazards include 50 to 60 mph wind gusts and penny size hail. Isolated wind damage possible. Locations impacted include, springfield, chicopee, enfield, westfield, agawam, west springfield, ludlow, longmeadow, suffield, east longmeadow, windsor locks, granby, east windsor, southwick, east granby, hartland and granville. 7/22/2016 7:39 PM EDT At 737 pm edt, a severe thunderstorm was located over tolland, or 12 miles west of westfield, moving east at 35 mph. another strong storm with the potential to become severe was located near new marlboro in southern berkshire county (radar indicated). Hazards include 60 mph wind gusts and penny size hail. Expect damage to roofs. siding. And trees. 7/22/2016 6:56 PM EDT At 655 pm edt, a severe thunderstorm was located over belchertown, or near amherst, moving east at 30 mph (radar indicated). Hazards include 60 mph wind gusts and quarter size hail. Hail damage to vehicles is expected. expect wind damage to roofs, siding, and trees. this severe storm will be near, ware around 705 pm edt. 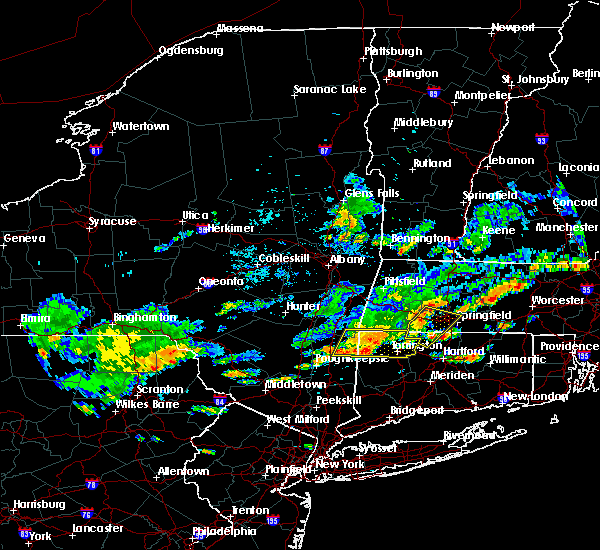 Palmer, warren, west brookfield, brimfield and brookfield around 715 pm edt. 7/22/2016 6:48 PM EDT At 646 pm edt, a severe thunderstorm was located over amherst, moving east at 35 mph (radar indicated). Hazards include 60 mph wind gusts and quarter size hail. Hail damage to vehicles is expected. expect wind damage to roofs, siding, and trees. 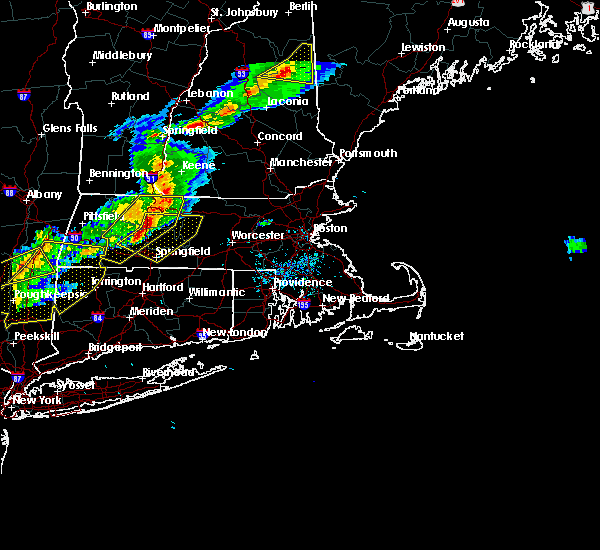 this severe storm will be near, belchertown and pelham around 700 pm edt. ware around 705 pm edt. palmer and warren around 710 pm edt. 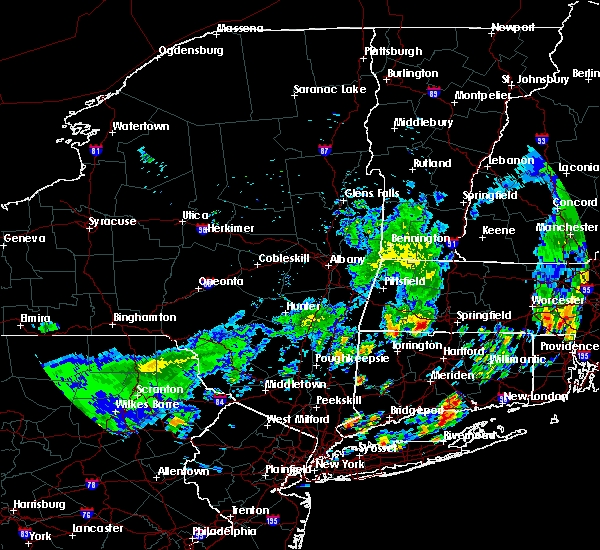 North brookfield, west brookfield, brookfield, hardwick and new braintree around 715 pm edt. 7/22/2016 6:36 PM EDT At 636 pm edt, a severe thunderstorm was located near hadley, or near northampton, moving east at 35 mph (radar indicated). Hazards include 60 mph wind gusts and quarter size hail. Hail damage to vehicles is expected. expect wind damage to roofs, siding, and trees. 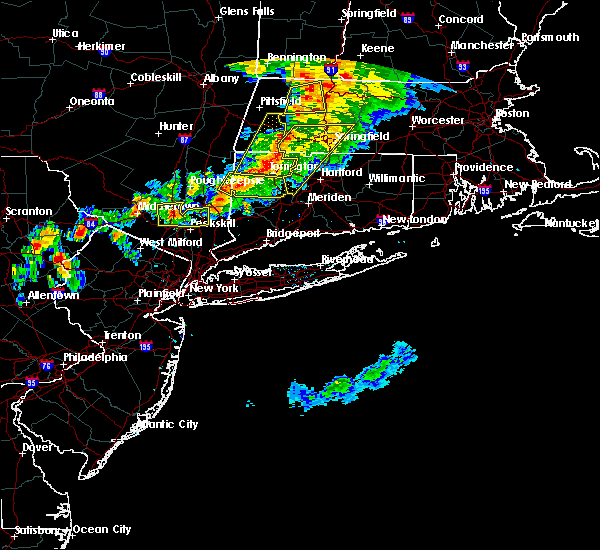 this severe thunderstorm will be near, granby around 650 pm edt. 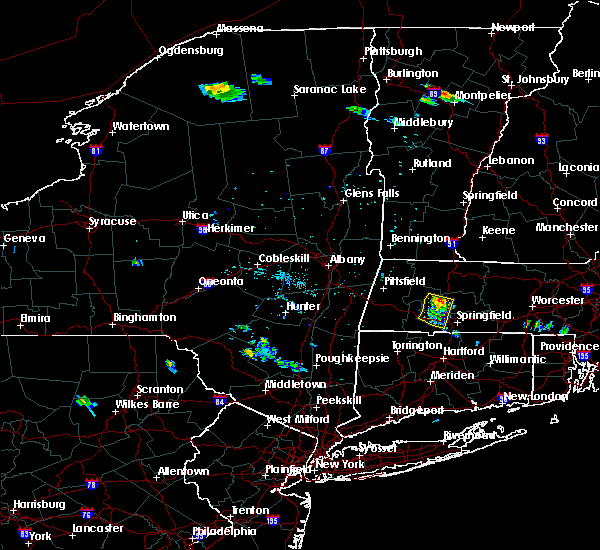 belchertown and pelham around 655 pm edt. 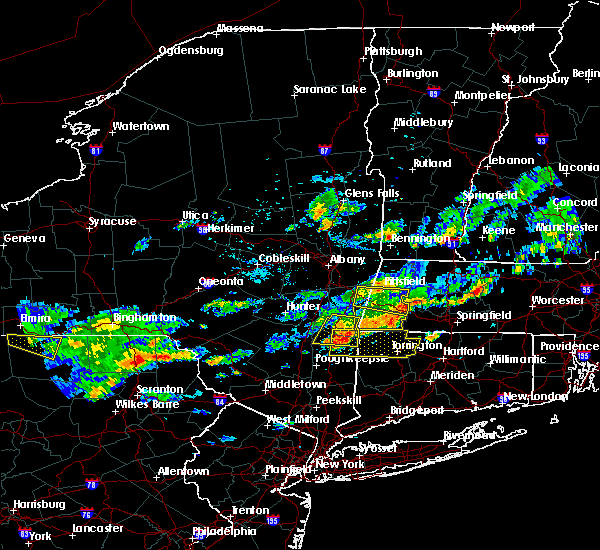 ludlow and wilbraham around 700 pm edt. monson around 705 pm edt. palmer around 710 pm edt. 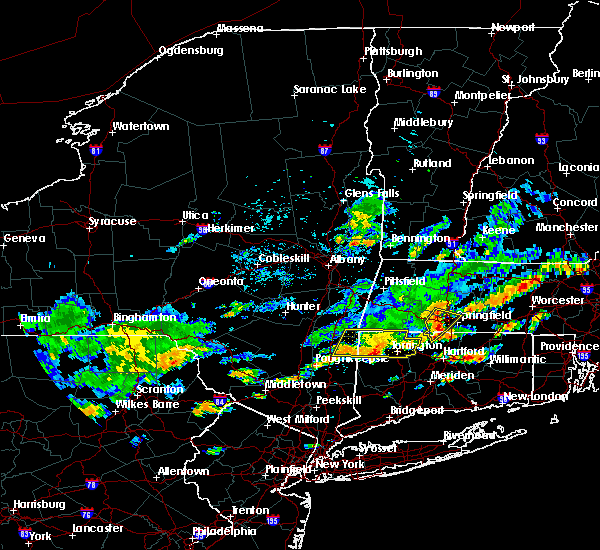 Warren, west brookfield, brimfield, brookfield, holland and wales around 715 pm edt. 7/22/2016 6:25 PM EDT At 625 pm edt, a severe thunderstorm was located over westhampton, or over northampton, moving east at 35 mph (radar indicated). Hazards include 60 mph wind gusts and penny size hail. Expect damage to roofs. siding. and trees. Locations impacted include, westfield, holyoke, northampton, agawam, west springfield, south hadley, easthampton, southampton, hadley, hatfield, williamsburg, huntington, russell, westhampton, blandford, chesterfield, goshen and montgomery. 7/22/2016 6:14 PM EDT At 613 pm edt, a severe thunderstorm was located over chesterfield, or 9 miles west of northampton, moving southeast at 30 mph (radar indicated). Hazards include 60 mph wind gusts and penny size hail. Expect damage to roofs. siding. and trees. Locations impacted include, westfield, holyoke, northampton, agawam, west springfield, south hadley, easthampton, southwick, southampton, hadley, hatfield, williamsburg, huntington, russell, westhampton, granville, chester, blandford, chesterfield and worthington. 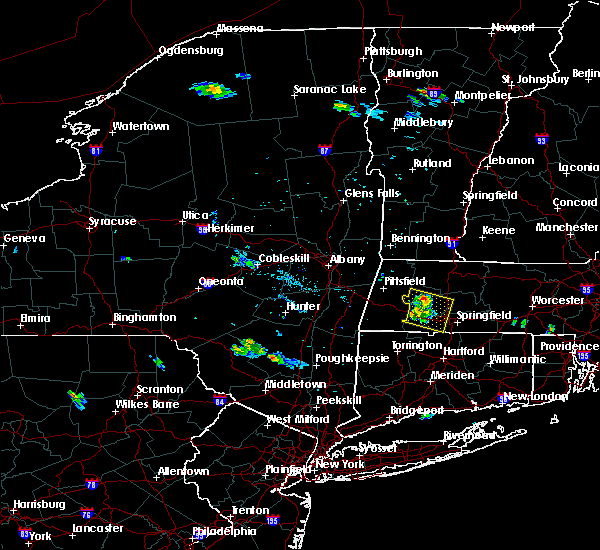 7/22/2016 5:54 PM EDT At 553 pm edt, a severe thunderstorm was located near becket, or 14 miles east of great barrington, moving east at 35 mph (radar indicated). Hazards include 60 mph wind gusts and quarter size hail. Hail damage to vehicles is expected. Expect wind damage to roofs, siding, and trees. 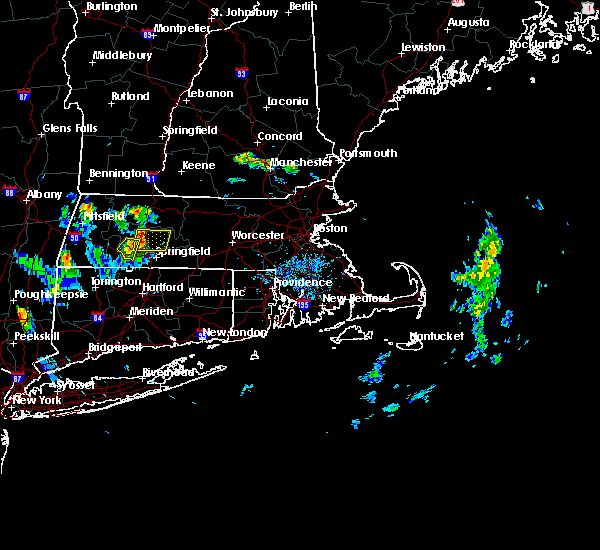 6/21/2016 4:39 AM EDT The severe thunderstorm warning for northwestern tolland, northeastern hartford and southwestern hampden counties will expire at 445 am edt, the storm which prompted the warning has weakened below severe limits, and have exited the warned area. therefore, the warning will be allowed to expire. 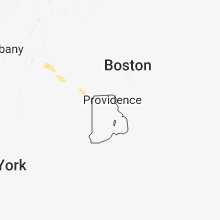 6/21/2016 4:26 AM EDT At 425 am edt, a severe thunderstorm was located between agawam massachusetts and enfield connecticut, moving southeast at 30 mph (radar indicated). Hazards include 60 mph wind gusts. Expect damage to roofs. siding. and trees. Locations impacted include, springfield, chicopee, enfield, westfield, agawam, west springfield, longmeadow, suffield, east longmeadow, ellington, wilbraham, somers, granby, east windsor, southwick, east granby, hampden, hartland, russell and granville. 6/21/2016 4:05 AM EDT At 404 am edt, a severe thunderstorm was located over granville, or near westfield, moving east at 30 mph (radar indicated). Hazards include 60 mph wind gusts. Expect damage to roofs. siding. And trees. 2/25/2016 12:58 AM EST At 1258 am est, doppler radar indicated a severe thunderstorm capable of producing destructive winds in excess of 70 mph. this storm was located over east windsor, or near south windsor, and was moving northeast at 45 mph. 8/4/2015 2:44 PM EDT At 243 pm edt, doppler radar indicated a severe thunderstorm capable of producing quarter size hail and damaging winds in excess of 60 mph. this storm was located over holyoke, moving east at 35 mph. locations impacted include, springfield, chicopee, westfield, holyoke, amherst, agawam, west springfield, ludlow, south hadley, southbridge, longmeadow, east longmeadow, belchertown, wilbraham, palmer, spencer, ware, southwick, sturbridge and monson. 8/4/2015 2:17 PM EDT At 216 pm edt, doppler radar indicated a severe thunderstorm capable of producing quarter size hail and damaging winds in excess of 60 mph. this storm was located over blandford, or 12 miles northwest of westfield, and was moving east at 35 mph. * some locations impacted include, springfield, chicopee, westfield, holyoke, amherst, northampton, agawam, west springfield, ludlow, south hadley, southbridge, easthampton, longmeadow, east longmeadow, belchertown, wilbraham, palmer, spencer, ware and southwick. 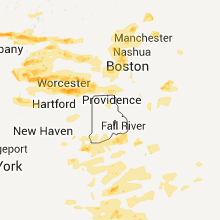 7/28/2015 2:47 PM EDT At 247 pm edt, doppler radar indicated a severe thunderstorm that has a history of strong winds with localized damage. this storm was located over hatfield, or near amherst. this storm was nearly stationary. locations impacted include, holyoke, amherst, northampton, ludlow, south hadley, easthampton, belchertown, granby, southampton, hadley, sunderland, hatfield, williamsburg, shutesbury, whately and pelham. 7/28/2015 2:18 PM EDT At 217 pm edt, doppler radar indicated a severe thunderstorm capable of producing quarter size hail and damaging winds in excess of 60 mph. this storm was located over deerfield, or 8 miles south of greenfield, and was moving south at 15 mph. * some locations impacted include, holyoke, amherst, northampton, deerfield, ludlow, south hadley, easthampton, belchertown, montague, granby, southampton, hadley, sunderland, hatfield, williamsburg, conway, shelburne, leverett, shutesbury and whately. 7/27/2015 6:38 PM EDT At 637 pm edt, trained weather spotters reported a severe thunderstorm producing quarter size hail. this storm was located over westfield, moving southeast at 10 mph. locations impacted include, springfield, chicopee, westfield, holyoke, agawam, west springfield, longmeadow, suffield, east longmeadow, granby, southwick, russell, granville, blandford and montgomery. 7/27/2015 6:15 PM EDT At 614 pm edt, doppler radar indicated a severe thunderstorm capable of producing quarter size hail and damaging winds in excess of 60 mph. this storm was located over russell, or near westfield, and was moving southeast at 10 mph. * some locations impacted include, springfield, chicopee, westfield, holyoke, agawam, west springfield, longmeadow, suffield, east longmeadow, granby, southwick, southampton, huntington, russell, granville, blandford, montgomery and tolland. 7/26/2015 7:13 PM EDT At 712 pm edt, doppler radar indicated a severe thunderstorm capable of producing quarter size hail and damaging winds in excess of 60 mph. this storm was located over amherst, moving east at 15 mph. 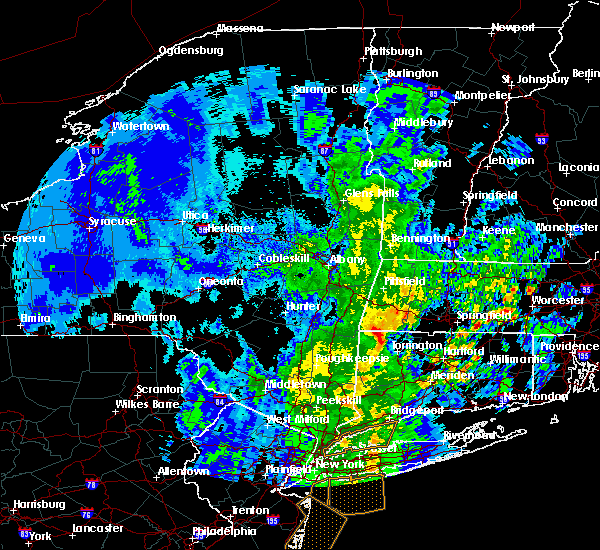 locations impacted include, chicopee, amherst, ludlow, south hadley, belchertown, granby and pelham. 7/26/2015 7:02 PM EDT At 659 pm edt, trained weather spotters reported a tree down on wires in hatfield. 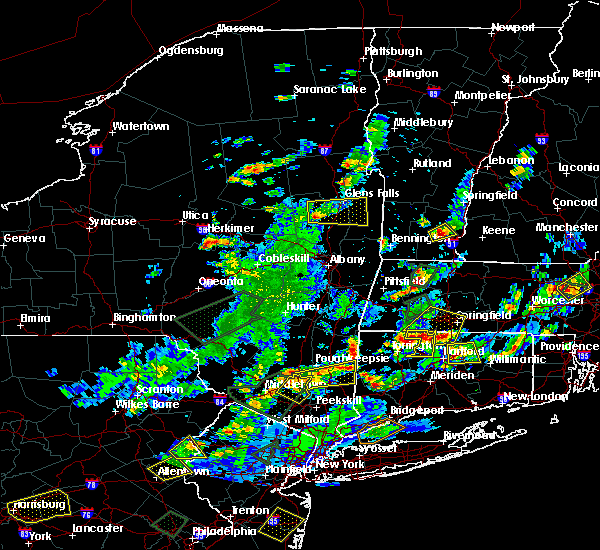 in addition, spotters also reported many tree limbs down in hadley. this severe thunderstorm continues to be capable of producing quarter size hail and damaging winds in excess of 60 mph. the storm was located over hadley, or near amherst, moving east at 20 mph. locations impacted include, chicopee, holyoke, amherst, northampton, ludlow, south hadley, easthampton, belchertown, granby, hadley, hatfield and pelham. 7/26/2015 6:50 PM EDT At 650 pm edt, doppler radar indicated a severe thunderstorm capable of producing quarter size hail and damaging winds in excess of 60 mph. this storm was located over northampton, and was moving east at 15 mph. * some locations impacted include, chicopee, holyoke, amherst, northampton, ludlow, south hadley, easthampton, belchertown, granby, southampton, hadley, hatfield, williamsburg and pelham. 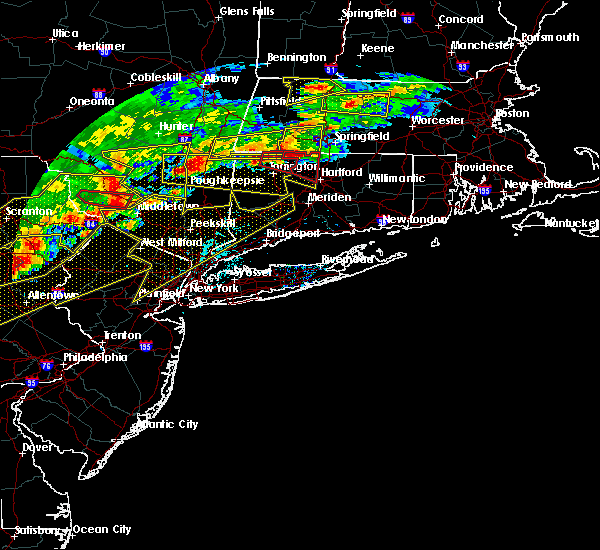 6/23/2015 7:51 PM EDT At 750 pm edt, doppler radar indicated a line of severe thunderstorms capable of producing damaging winds in excess of 60 mph. 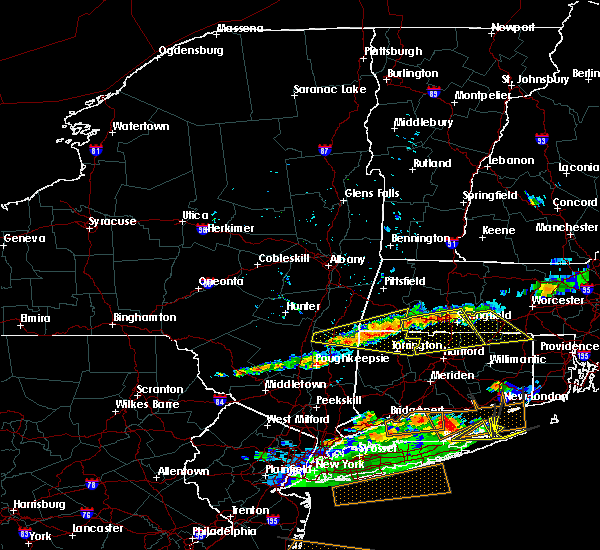 these storms were located along a line extending from ludlow to granville, moving east at 35 mph. in addition, trees and power lines were downed in russell and westfield as the storms moved through. locations impacted include, springfield, chicopee, enfield, westfield, holyoke, windsor, agawam, west springfield, south windsor, simsbury, ludlow, bloomfield, longmeadow, suffield, east longmeadow, ellington, wilbraham, windsor locks, stafford and somers. 6/23/2015 7:41 PM EDT At 740 pm edt, doppler radar indicated a line of severe thunderstorms capable of producing damaging winds in excess of 60 mph. 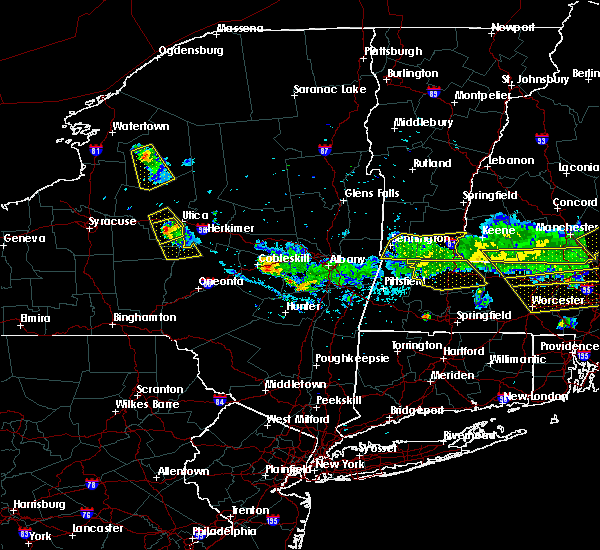 these storms were located along a line extending from ludlow to near granville, moving southeast at 20 mph. 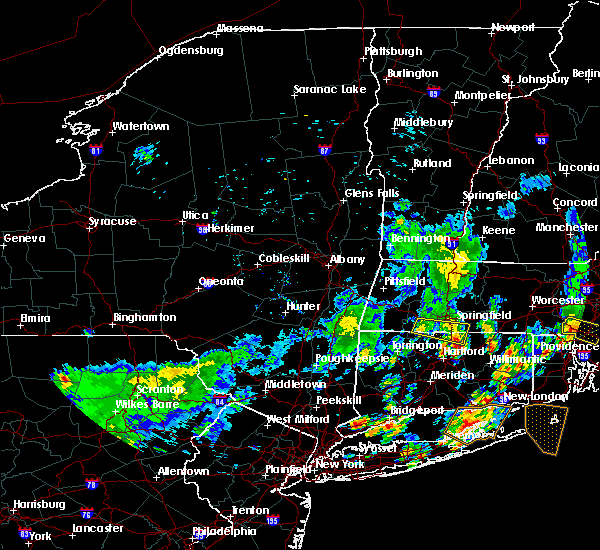 in addition, at 738 pm, trees and wires were reported downed in westfield. locations impacted include, springfield, chicopee, enfield, westfield, holyoke, windsor, agawam, west springfield, south windsor, simsbury, ludlow, bloomfield, south hadley, easthampton, longmeadow, suffield, east longmeadow, ellington, wilbraham and windsor locks. 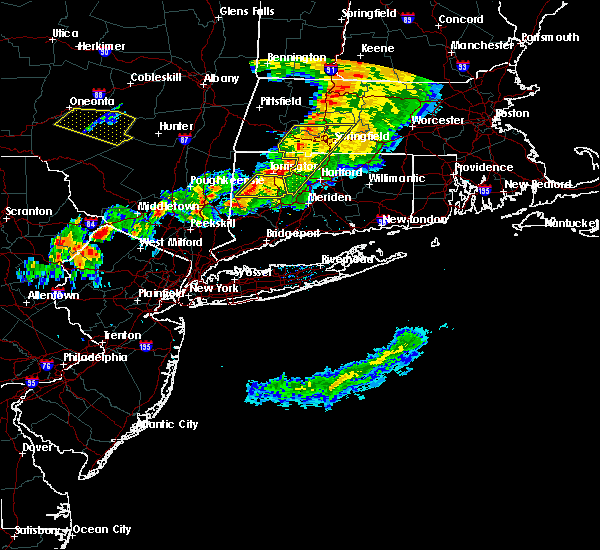 6/23/2015 7:19 PM EDT At 718 pm edt, doppler radar indicated a line of severe thunderstorms capable of producing damaging winds in excess of 60 mph. 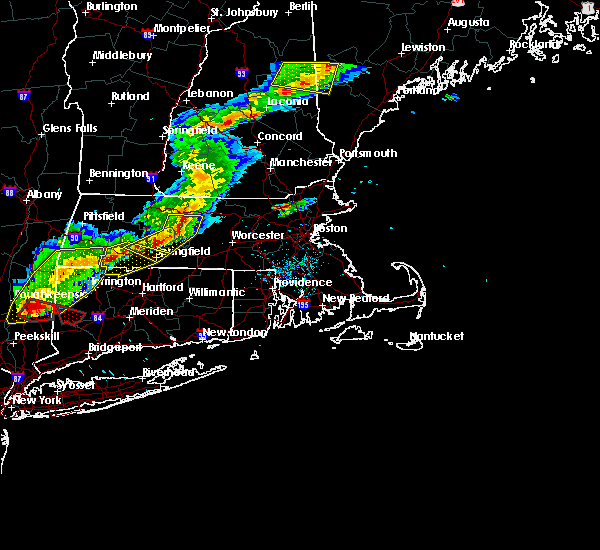 these storms were located along a line extending from south hadley to near otis, and was moving east at 40 mph. * some locations impacted include, springfield, chicopee, enfield, westfield, holyoke, windsor, agawam, west springfield, south windsor, simsbury, ludlow, bloomfield, south hadley, easthampton, longmeadow, suffield, east longmeadow, ellington, wilbraham and windsor locks. 6/9/2015 4:32 PM EDT At 432 pm edt, doppler radar indicated a severe thunderstorm capable of producing damaging winds in excess of 60 mph. this storm was located over springfield, and was moving northeast at 40 mph. * some locations impacted include, springfield, chicopee, westfield, holyoke, agawam, west springfield, ludlow, south hadley, longmeadow, suffield, east longmeadow, belchertown, wilbraham, oxford, charlton, palmer, spencer, somers, leicester and ware. 5/28/2015 5:15 PM EDT At 514 pm edt, doppler radar indicated a severe thunderstorm capable of producing quarter size hail and damaging winds in excess of 60 mph. 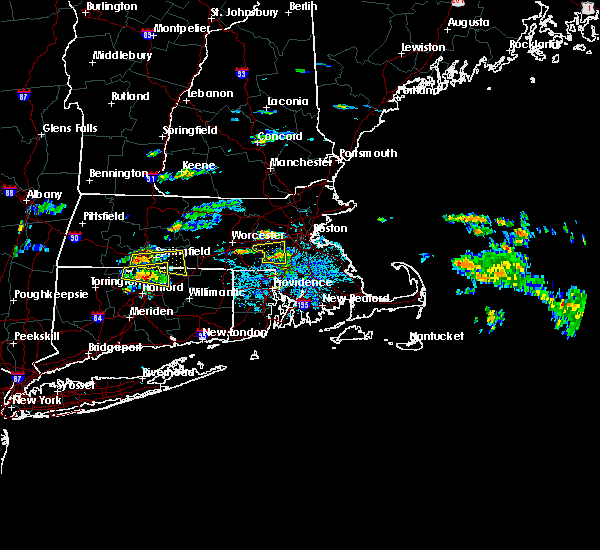 this storm was located over chelmsford, moving east at 40 mph. 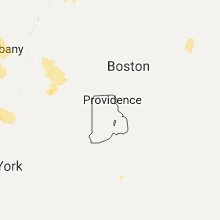 locations impacted include, worcester, framingham, chicopee, leominster, fitchburg, marlborough, shrewsbury, westford, acton, ludlow, hudson, westborough, grafton, sudbury, holden, ashland, auburn, hopkinton, belchertown and northborough. 5/28/2015 4:48 PM EDT At 448 pm edt, doppler radar indicated a severe thunderstorm capable of producing quarter size hail and damaging winds in excess of 60 mph. this storm was located over lunenburg, or near leominster, and was moving east at 40 mph. * some locations impacted include, worcester, framingham, chicopee, leominster, fitchburg, holyoke, marlborough, amherst, shrewsbury, westford, acton, ludlow, hudson, westborough, grafton, sudbury, south hadley, holden, ashland and auburn. 5/27/2015 7:01 PM EDT At 700 pm edt, doppler radar indicated a line of severe thunderstorms capable of producing damaging winds in excess of 60 mph. these storms were located along a line extending from near russell to near granville to hartland, moving northeast at 50 mph. locations impacted include, springfield, chicopee, westfield, holyoke, agawam, west springfield, ludlow, south hadley, easthampton, longmeadow, suffield, southwick, granby, southampton, east granby, hartland, russell, granville, blandford and montgomery. 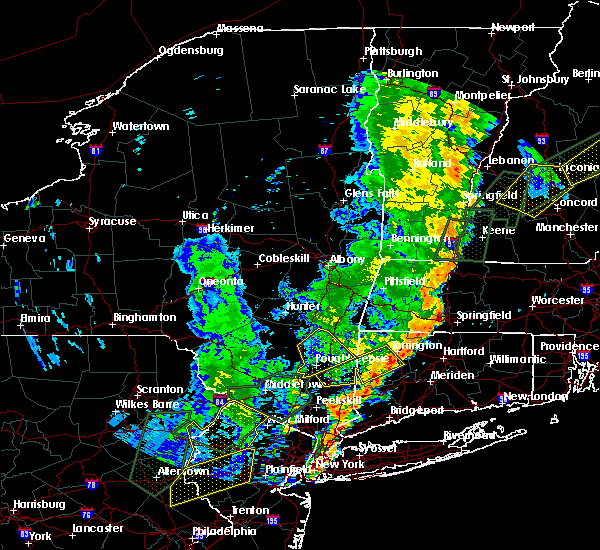 5/27/2015 6:42 PM EDT At 642 pm edt, doppler radar indicated a line of severe thunderstorms capable of producing damaging winds in excess of 60 mph. these storms were located along a line extending from near sandisfield to near norfolk to near torrington, and was moving northeast at 45 mph. * some locations impacted include, springfield, chicopee, westfield, holyoke, agawam, west springfield, ludlow, south hadley, easthampton, longmeadow, suffield, belchertown, southwick, granby, southampton, east granby, hartland, russell, granville and blandford. 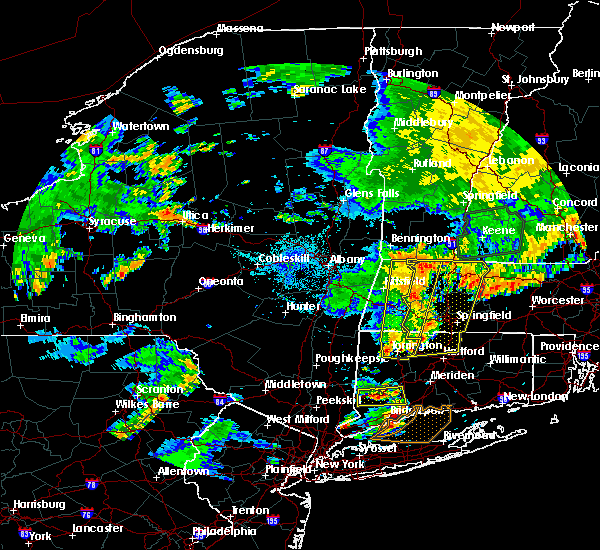 5/19/2015 9:13 PM EDT At 912 pm edt, doppler radar indicated a severe thunderstorm capable of producing damaging winds in excess of 60 mph. this storm was located over west springfield, moving southeast at 35 mph. in addition, pea sized hail was reported at blandford with this storm. locations impacted include, springfield, chicopee, westfield, holyoke, northampton, agawam, west springfield, ludlow, south hadley, easthampton, southwick, granby, southampton, huntington, russell, westhampton, granville, chester, blandford and chesterfield. 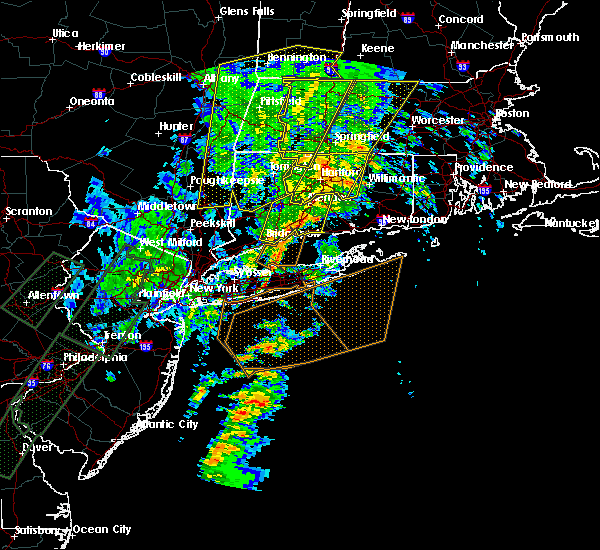 5/19/2015 8:45 PM EDT At 844 pm edt, doppler radar indicated a severe thunderstorm capable of producing damaging winds in excess of 60 mph. this storm was located near blandford, or 12 miles northwest of westfield, and was moving southeast at 35 mph. * some locations impacted include, springfield, chicopee, westfield, holyoke, northampton, agawam, west springfield, ludlow, south hadley, easthampton, southwick, granby, southampton, huntington, russell, westhampton, granville, chester, blandford and chesterfield.